Achieve fiscal responsibility with SimpleLegal. Our platform gives you end-to-end control of how your legal department manages invoices, budgets, accruals, and more. When you have total visibility into your spend, you can easily predict costs, effectively allocate resources, and select partners who will help you reach your business goals. 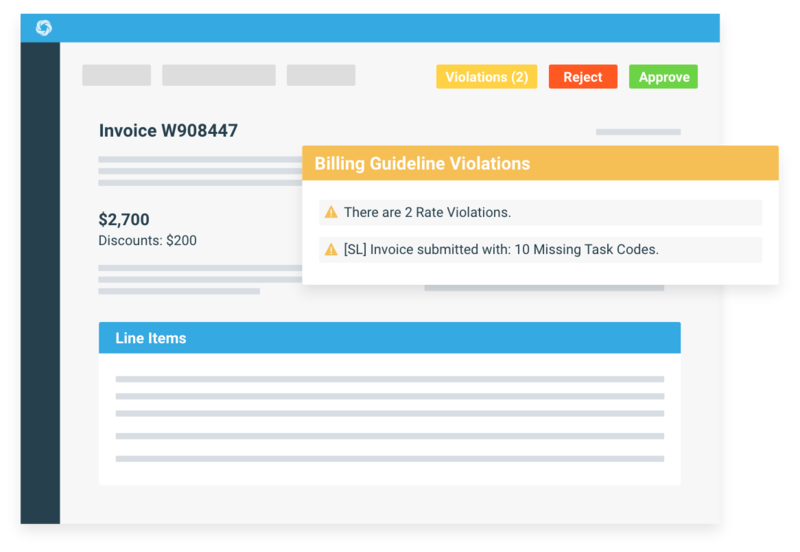 SimpleLegal’s Intelligent Invoice Workflow is the smartest way to automate, manage, and control your invoice process from intake to approval. Enforce business processes and ensure billing guidelines, AFAs, and discounts are strictly followed. 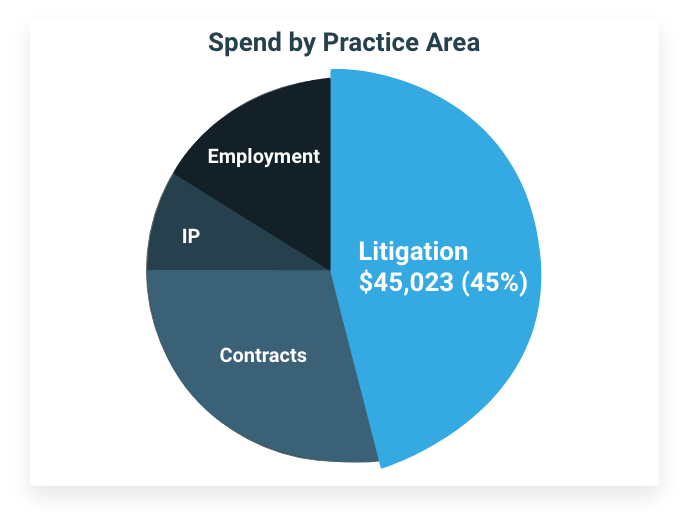 Fewer errors and manual processes mean more time to focus on high-value legal work. SimpleLegal provides a complete view of all your financial data – including budgets, accruals, allocations, and more. Track and monitor spend, accurately forecast for future projects, and ensure there are no financial surprises at the end of the month. 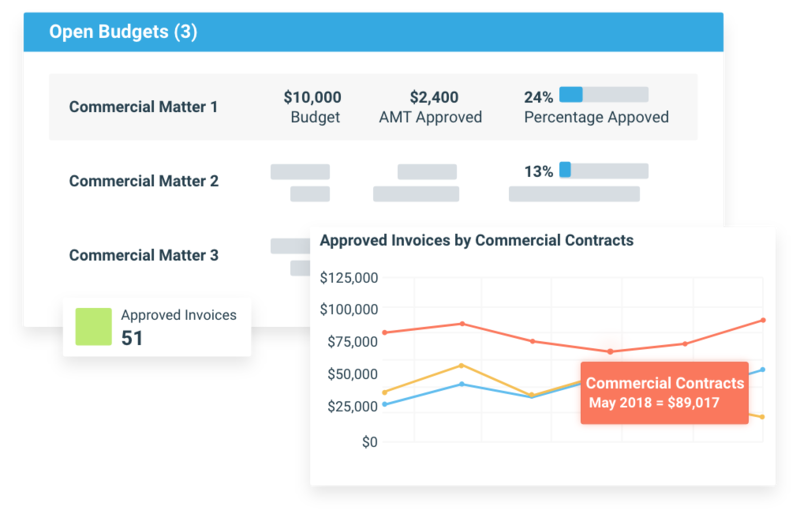 Track high-value business KPIs, identify trends and opportunities, and mitigate risk with insights from SimpleLegal’s powerful reporting engine. With a clearer view into department and law firm performance, making data-driven decisions has never been easier. "We saw a much higher response rate to requests for unbilled estimates from our law firms, and we face fewer surprises and adjustments at month and year end." "SimpleLegal is the single source of truth for our legal spend. It has everything you need to track, review, and approve invoices in detail." 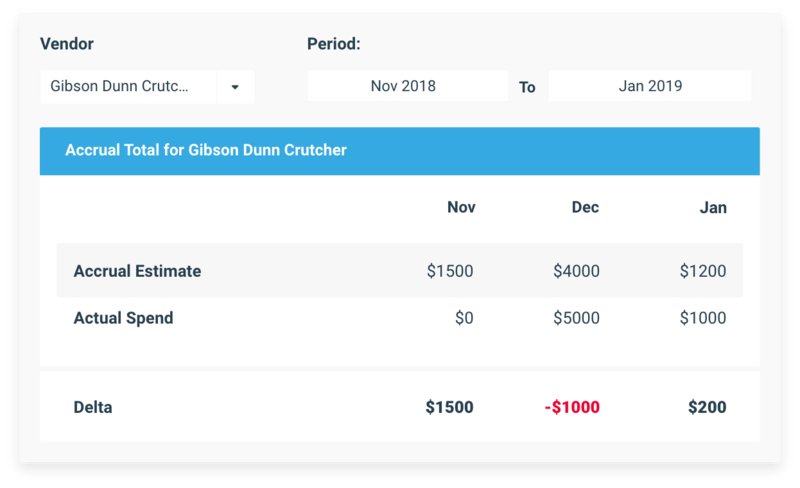 "The intuitive, clean interface gives us the ability to quickly run reports and filter information for greater transparency in spending across our legal team." "SimpleLegal provides visibility into outside counsel spend. Once that data is surfaced, I can easily run reports to make strategic business decisions."